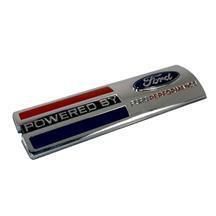 Let everyone know what kind of S197 you are driving with a new 2005-2009 Mustang fender badge from Late Model Restoration. 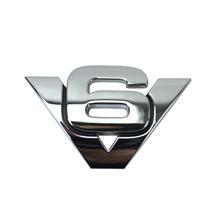 Dress up your Mustang with badges such as GT, 45th anniversary, Powered By Ford, GT500, V8, and V6. These emblems fit 2005, 2006, 2007, 2008, and 2009 Mustangs. 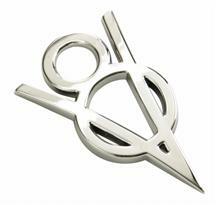 Replace your old, worn out, and missing 05-09 Mustang fender badges with new emblems from Late Model Restoration. 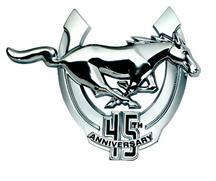 Choose from GT, 45th anniversary, Powered By Ford, GT500, V8, and V6 badges to get your Mustang looking new again!